The spectacular rise and dizzying fall of a legendary Spanish desperado. Memory, contrition, love and loss all permeate this thoughtful contemplation on the generation of radical adolescents that emerged in Spain in its post-Franco years. With an autobiographical air, Cercas (The Anatomy of a Moment, 2011, etc.) crafts a vibrant yet realistic portrait of two teenage boys who find themselves in very different circumstances in adulthood. The voice of the novel comes from Ignacio Cañas, a retired criminal defense lawyer who is being interviewed by an unnamed journalist about his early relationship with a charismatic criminal, Antonio Gamallo, who is known to Spain as “El Zarco.” In the book’s first half, we learn how the bookish, fainthearted Cañas falls in with the blue-eyed Zarco and his exotic female companion, Tere, in the late 1970s. Their deal is based around a simple bargain: “You scratch my back, I’ll scratch yours.” The drug-fueled, rebellious trio soon graduates from burglary to robbing banks. When Cañas is freed by a sympathetic police officer named Inspector Cuenca, it sets him on a different path than his felonious friends. 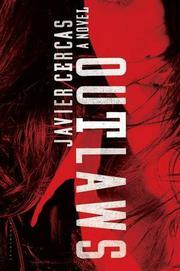 A quarter-century later, Tere reappears in his office with María Vela, Zarco’s girlfriend, with a plea for Cañas to lead the outlaw’s defense. It’s a compelling, drawn-out story with rich period detail and emotional depth. The first half has the flavor of Jim Carroll’s post-punk autobiographical novels, while the chronicle of Zarco’s criminal career recalls the many books and films about French gangster Jacques Mesrine. It’s also hard not to feel the swirl of emotions experienced by Cañas as he wrestles with his feelings about his childhood friend and the long attraction he's held for Tere, whose role in keeping Zarco’s secrets leaves her largely at arm’s length from the rest of the world. It’s unusual for a story about popular folklore to be so grounded, but Cercas navigates this difficult maneuver with grace. A rewarding and complex novel about finding the man behind the myths.